The Winchester Deluxe Apartments is a luxurious property located just 3km from the iconic Dubai World Trade Centre Business Complex. The famous landmark Burj Khalifa is just 7.8km from the hotel. The Winchester Deluxe Apartment was built in 2000 and underwent a renovation in 2012. The 4-star property enjoys a convenient location around the bustling city centre. 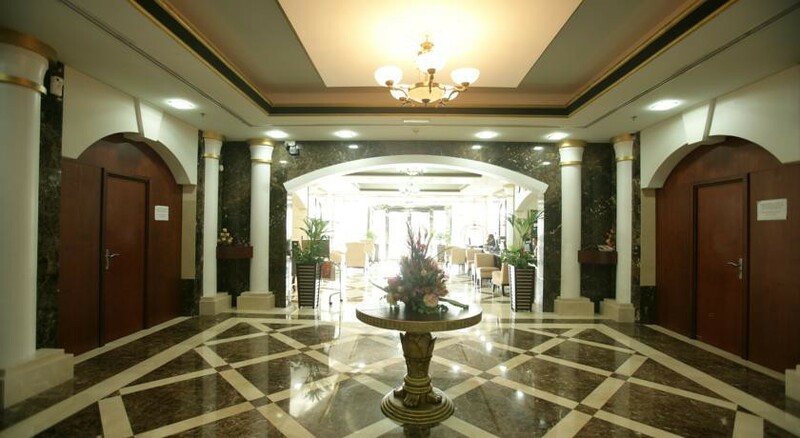 With other popular attractions such as the Twin Towers Shopping Centre and Lamcy Plaza nearby, this hotel offers an easy commute to the tourists. The child-friendly hotel offers cribs for infants and comes with a lavish pool. Guests can avail car rental services from here to visit the nearby areas. The hotel offers free parking and free shuttle to nearby attractions. The airport shuttle is chargeable. 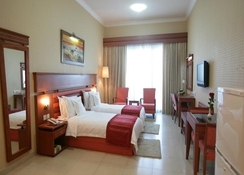 The hotel enjoys an ideal location next to the ADCB subway station. One easily gets access to plenty of shopping malls, zoo, coffee shops and restaurants nearby. The beach is about 3km from the hotel. The rooms at The Winchester Deluxe Apartments feature elegant floor-to-ceiling windows. They are rather airy, spacious and feature elegant pine furniture. Guests can enjoy free Wi-Fi facilities and flat-screen TVs in the rooms along with kitchenettes and separate living/dining areas. The apartments feature two to three bedrooms along with separate living areas and kitchens. 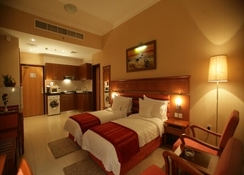 The property has a total of 112 rooms and guests can choose from executive one-bedroom triple room, one-bedroom triple room and executive one-bedroom single room. The rooms come equipped with a laptop safe, work desk, electric kettles and satellite TVs. The rooms feature a beautiful city view. A family bathroom with shower facilities, bathtub and a hairdryer makes your stay even more comfortable. A modest restaurant at The Winchester Deluxe Apartments serves tantalizing cuisines. 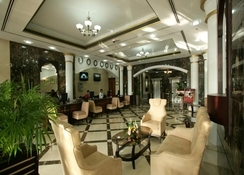 There is an elegant lounge in the lobby and a banquet hall which can be hired for personal and corporate events. Treat yourself to some delectable cuisines at the lobby lounge. A BBQ area enables you to get some delicious BBQ delicacies. Winchester Deluxe features a rooftop pool. A gym and a fitness centre are some of the entertainment facilities provided in Winchester Deluxe Hotel. Soak up some sun in the sun terrace or treat yourself to a luxurious Jacuzzi bath. The outdoor heated swimming pool is just perfect in cold climate.